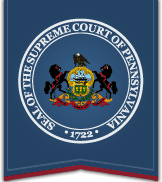 Thank you for visiting the Web site of Pennsylvania's Unified Judicial System. This is an official government site where information concerning financial obligations to the Common Pleas and Magisterial District Courts is made available for purposes of submitting online payments. The AOPC may monitor the use of this system for illegal, criminal, and unauthorized activities. If these activities are detected, the AOPC may provide evidence of such to law enforcement officials. The AOPC will also monitor the use of this system to capture usage statistics. The personal information of users visiting this Web site will not be identified through our data collection process. Users of the payment system expressly consent to monitoring by the AOPC.